We’re proud to share the Texas A&M College of Architecture has selected Gary Owens, FAIA, FACHA, LEED AP, as one of its six 2018 Outstanding Alumni. The 2018 honorees were nominated by former students and selected by a college committee that seeks those “who have distinguished themselves as leaders and humanitarians in their respective fields.” Less than one percent of the college’s 16,000+ former students have been recognized with the Outstanding Alumni honor. 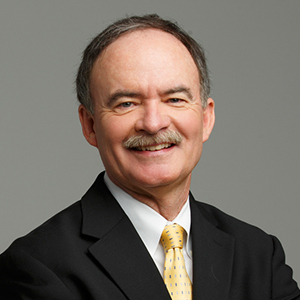 Gary Owens, who earned a Bachelor of Environmental Design degree in 1975 and a Master of Architecture degree in 1976, is a principal at FKP | CannonDesign, where he leads the design of innovative, award-winning healthcare facilities in the U.S. and abroad that improve patient outcomes, reduce medical errors, and accommodate evolving healthcare models. 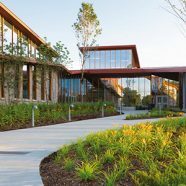 A member of the prestigious American Institute of Architecture’s College of Fellows, Owens employs sustainable, evidence based-design principles and lean planning methodologies to create full-service acute care hospitals, children’s hospitals, cancer treatment centers, ambulatory care facilities, and medical/professional office and education buildings. 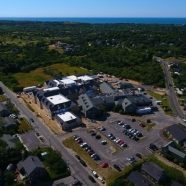 “His work has uplifted the lives of millions and is a model for other architects specializing in healthcare facilities and cancer care design around the world,” said Diane Osan, FKP chairwoman of the board and chief executive officer. Owens’ design of the M.D. Anderson Cancer Center Mays Clinic set a new standard for patient-focused care facilities, said center representatives. The clinic was also recognized as a top facility by the Center for Health Design, an interdisciplinary organization that promotes design as a tool to improve patient outcomes. His projects have earned more than two dozen local, regional and national awards, including three Beacon Awards from the American Association of Critical Care Nurses, which recognizes positive and supportive work environments that improve patient care. As part of Owens’ commitment to the future of healthcare design, he regularly guides young FKP architects through the complexities of care delivery spaces and challenges them to think beyond current trends. 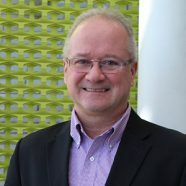 He also helps shape healthcare design education at Texas A&M as a member of the Center for Health Systems and Design’s Health Industry Advisory Council. Owens is a frequent lecturer in the center’s Architecture-For-Health Lecture Series, a regular presence at healthcare studio critiques, and a coordinator at FKP group presentations to students, who receive professional feedback on their designs and see professional healthcare architects’ work.